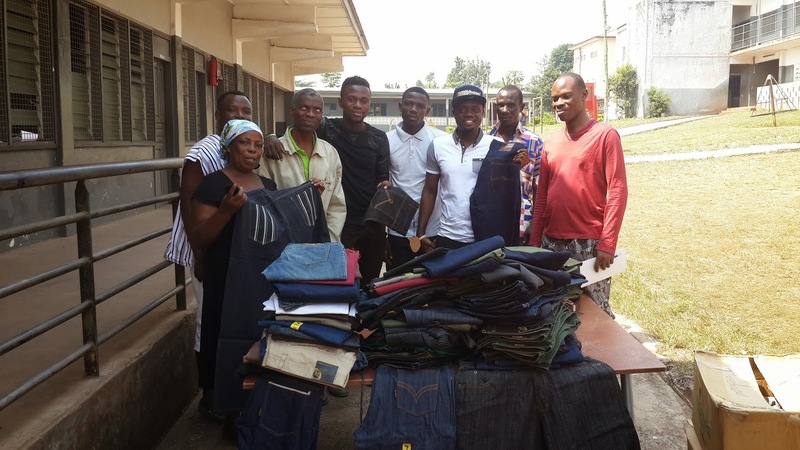 Popular celebrity clothing line BENASH Jeans, as part of their Cooperate Social Responsibility (CSR), presented clothes- Jeans and Khaki apparels- worth several thousands of Ghana Cedis to the Akropong School for the Blind over the weekend. Chief Executive of BENASH Jeans, Benjamin Toklo, told NEWS-ONE that he wanted to give back to society, and that there was no better way to do it than to clothe the students of the Akropong School for the Blind. “Nothing gladdens my heart like lending a helping hand to people that need support. Seeing the visually impaired people rocking the BENASH apparels will bring smiles on their faces, knowing that someone out there is thinking about them. These special people cannot be left out of our fashion statement as a company,” Mr Toklo stated. He added that his outfit was working closely with the school to provide training in basic sewing for some blind students. The clothes were received by the Assistant Headmaster of the school, Atsu Joseph Homadzi, together with Madam Rejoice Awuku, the Senior Housemistress and chairperson of the donation committee for the school, and Mr Simon Adedeme, the JHS Head of Department. The assistant headmaster, obviously delighted about the donation, encouraged other corporate organisations to emulate the kind gesture of BENASH. However, the Development Analyst for BENASH, James Tetteh, disclosed that his outfit will continue to give back to society because the company would not have been in existence without society. “I lost my sister through eye related ailment and our outfit has a soft spot for people who are visually impaired. We look forward to helping such individuals in our own small way,” he said. BENASH Jeans is a household name when it comes to Jeans and Khaki products produced in Ghana. The brand is responsible for most of the outfits for hiplife artistes Guru and VIP among other celebrities.